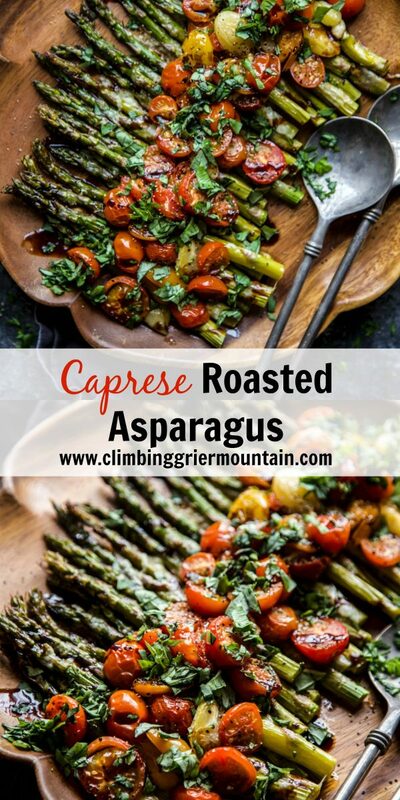 Caprese Roasted Asparagus is a lovely spring dish perfect for Easter Dinner! 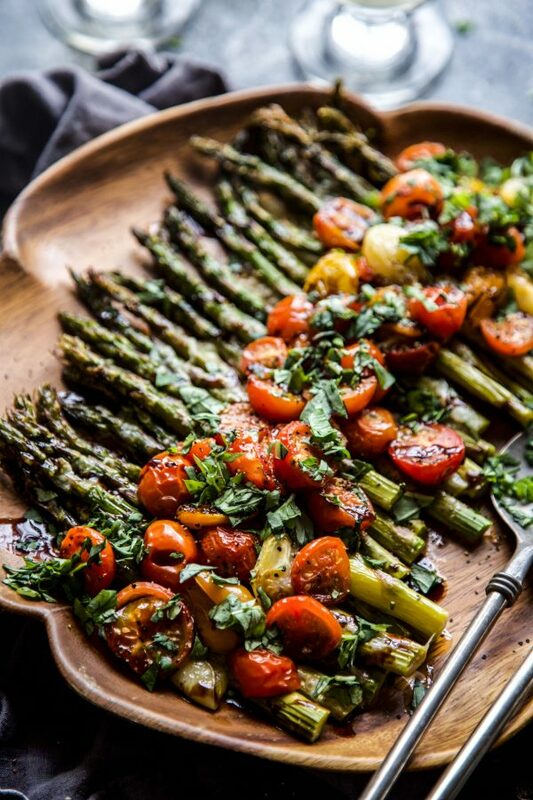 Roasted asparagus topped with mozzarella, fresh tomatoes and a balsamic glaze. 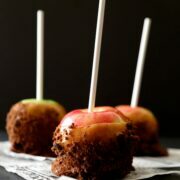 This will definitely be a hit! Not from the loathing, I hate to do them standpoint. But more of, what was your favorite “chore” growing up as a kid? I loved sweeping the floors. Maybe I watched too many re-runs of Cinderella, yours truly would sweep, sweep, and sweep. Sometimes, I would even bring in dirt from outside and put it on the wood floor just so I could sweep it. Wait. Did I just say that out loud? I promise I’m not a serial killer. Besides sweeping I also loved folding laundry. I think this specific chore let my type A personality really shine through. Folding perfect lines, organizing by category and delivering said goods to the appropriate party. Basically I was Marie Kond-ing before it was a thing. What about you? Did you have any favorite chores growing up? I will state for the record that the only chore I hated doing was cooking. GASP. Anytime my mother would need help in the kitchen I would vanish like a fart in the wind. Thankfully I out grew that whole situation because if I didn’t these Caprese Roasted Asparagus wouldn’t be in your face this morning. 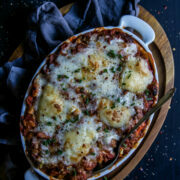 With Easter almost a a week away, I figured we might need a delicious, yet quick side to make. Asparagus is everywhere right now and most often I simply just roast it in the oven for a few minutes with some olive, salt and pepper. Well, I thought we needed to jazz this green vegetable up my mashing it together with ingredients of a caprese salad. 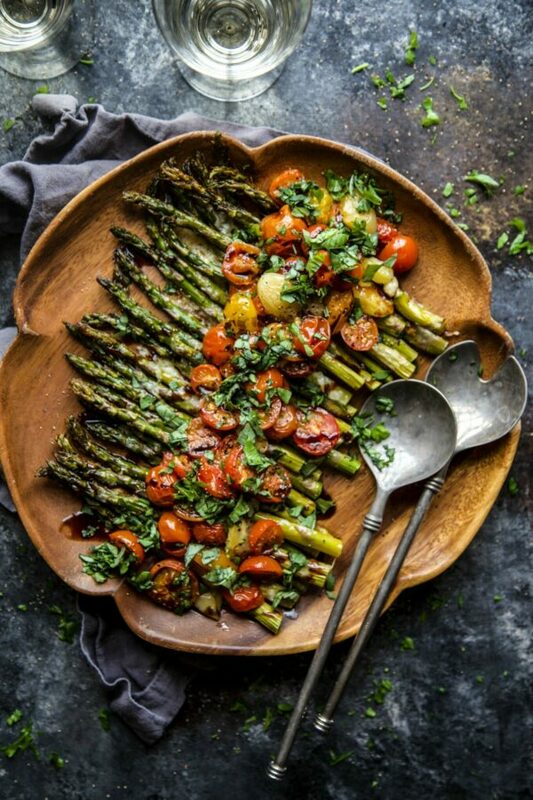 Just top the asparagus with cheese, tomatoes and a balsamic glaze. 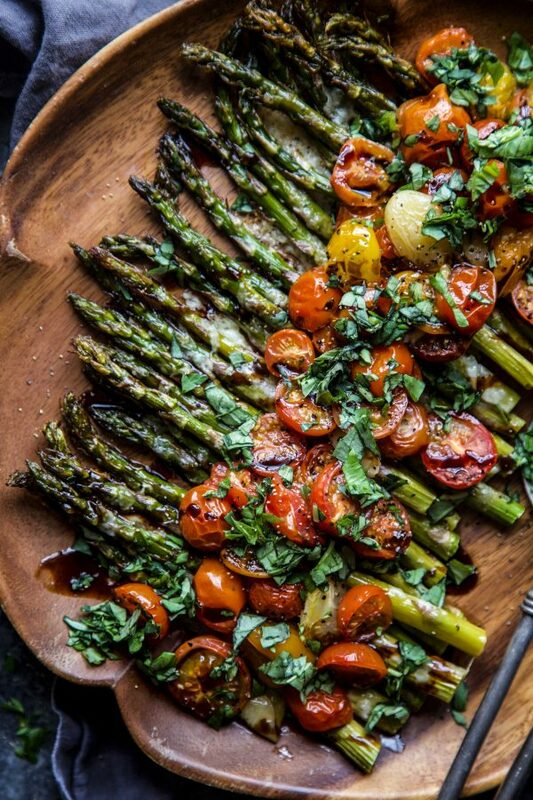 I’m telling you this Caprese Roasted Asparagus will be a hit at your Easter table. Preheat your oven to 400 degrees. Line a baking sheet with foil and spray with non-stick cooking spray. 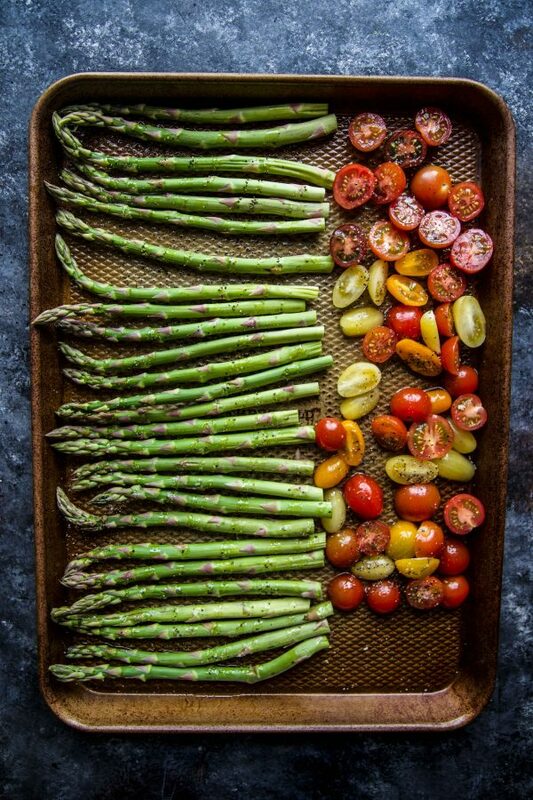 Place the asparagus on one side of the baking sheet in a row while placing the tomatoes on the other side in a row. Drizzle the top of the asparagus with 1 tbsp of olive oil, salt and pepper. Repeat process with tomatoes. Place the veggies in the oven and cook for 10 minutes. With five minutes left remove the baking sheet and top the asparagus with mozzarella. Place back in the oven and continue to cook until the cheese has melted and slightly golden. Remove the baking sheet from the oven and place the asparagus on a serving plate. 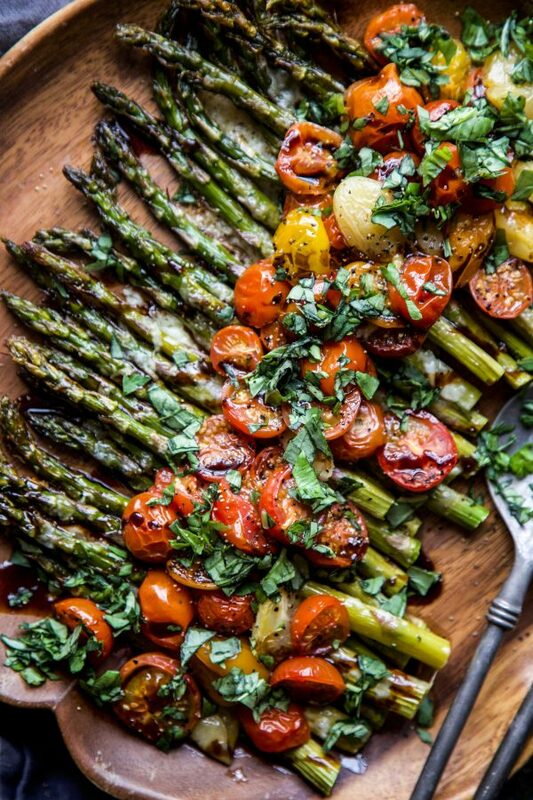 Top the asparagus with tomatoes and fresh basil. Drizzle the balsamic glaze on top and serve!